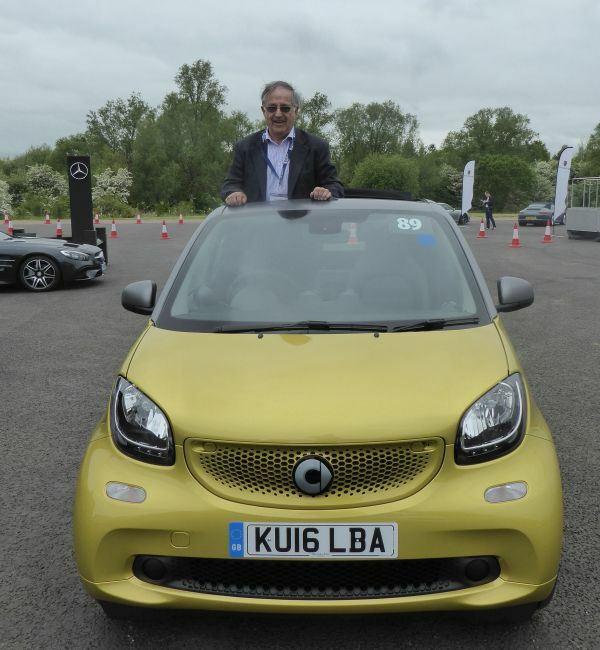 With the motoring correspondent away on a cruise, your editor-in-chief was keen to take up the offer of a day out at the Society of Motor Manufacturers (SMMT) Test Day held as usual at the Millbrook Proving Ground near Bedford. During a four-hour period, he drove 10 cars, mostly on the 6.4km twisty hill course, and from time to time also on the high-speed banked track, Brooklands style, limited to 100mph. 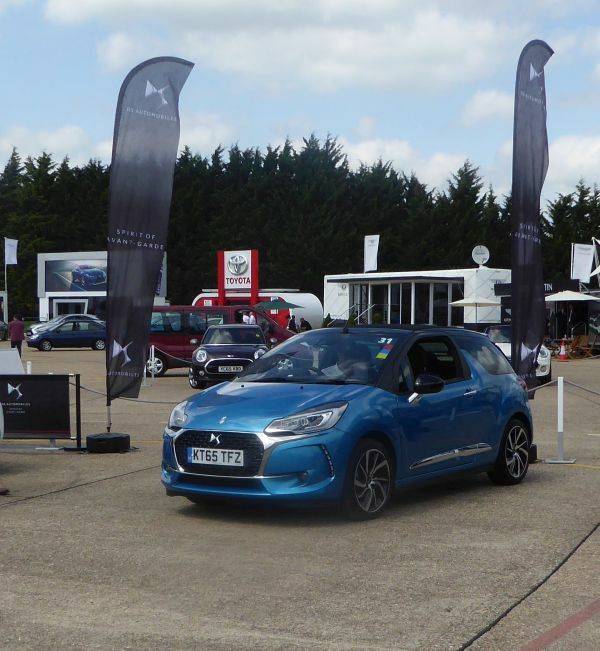 More than 260 journalists attended the event and the industry provided 180 vehicles to test drive. 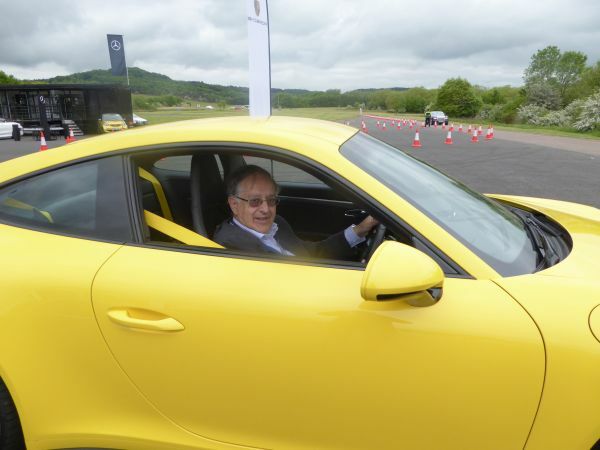 A series of test routes were provided, the already-mentioned hill course and banking, plus what was called ‘a city route’, all stop and start and sharp corners, and an off the road track for the four-wheel drive brigade. A few more mundane cars were also allowed out on the public highway. The following short reviews are in no particular order, but pride of place must go to the Rolls-Royce Wraith two-door fastback coupé. In times long ago, by signing up for a Rolls-Royce powered aircraft fleet, airline chiefs would be presented with the latest Ghost or Phantom. These days, they are more than likely to be seen in a BMW, now a sister marque of the Goodwood manufacturer. Your editor-in-chief was the first in line for a drive. 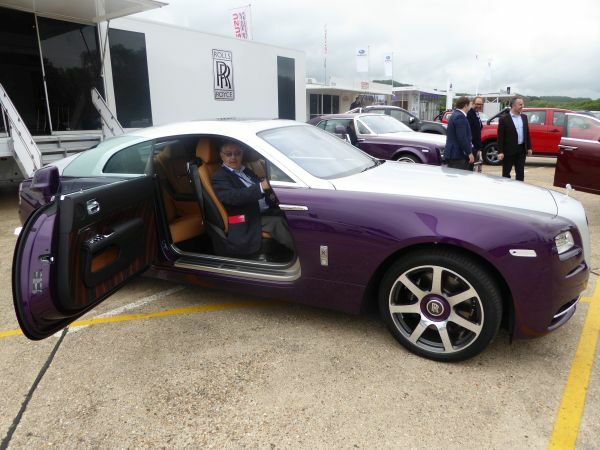 It is a big car, 17ft long, weighing 2.5 tons and a 0-60 time of just 4.4sec, but the Rolls-Royce Wraith is a joy to drive, nimble in a massive sort of way. Sadly not for the London suburbs, nor, at £250,000, on a journalist’s salary. From Rolls-Royce, it was on to a Porsche 911 Carrera 4S Coupé with a 0-60 time about the same, only two seats and just under £100,000. It is now water-cooled. I for one prefer the drop-head version, which always seemed to be out with others. With a semi-automatic box, perfect for the hill circuit. 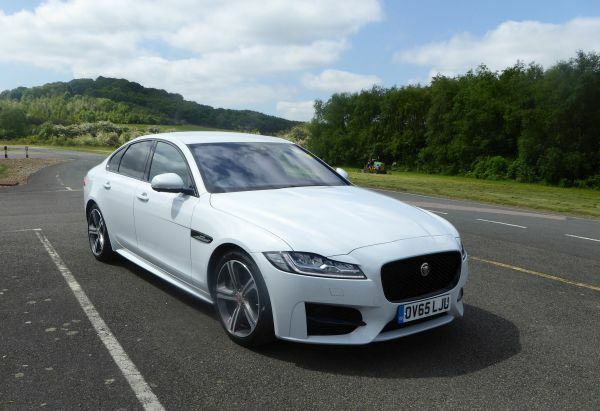 The latest Jaguar XF looks like the car most successfully introduced 10 years ago, with some subtle body changes, but in fact is really an enlarged XE. However you describe it, even with the small two-litre diesel option, it is a fine, very British, cruiser, at home in city traffic too. Prices from £32,500. 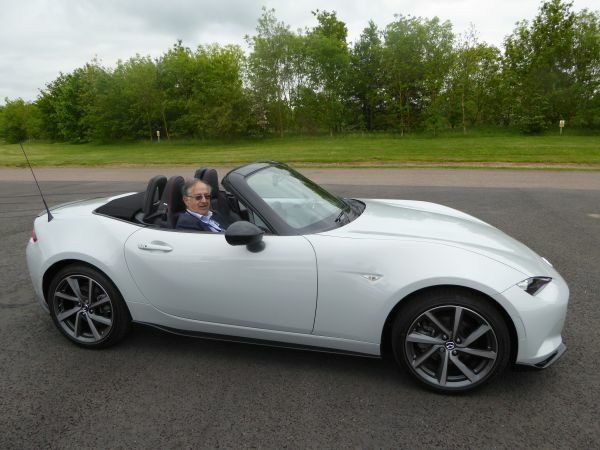 With nearly one million sold, it is only the more mature motoring journalist who will compare the Mazda MX 5 with the Lotus Elan, which inspired its body style and concept. Tractable and with the latest toys, it is a practical fun car, with, next year, an electric-retractable metal-roof version available. Prices start from £18,495. 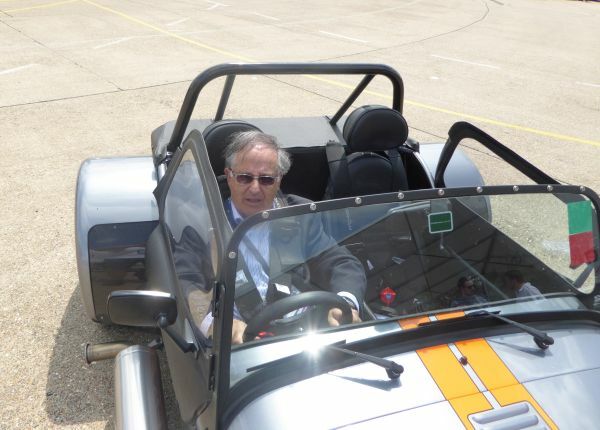 Your editor-in-chief was strapped into the Caterham 7, and half-lifted out. It really is a track car with road pretensions, and for the younger element. He helped with the design of series three Lotus 7 over 40 years ago. It looks more or less the same. As a kit, prices start from £15,995 and the factory will put it together for £3,000. The Mercedes SL drophead was something of a disappointment, perhaps because it was set up for the high-speed bowl and not the hill route. It seems I should have pressed a button. It feels like a quality product and it is, with plenty of room for four. You can cruise at 100mph with the roof down. Prices start at £73,810. They are a strange bunch at Citroen (and always have been – but you would have thought with the influence of sister company Peugeot things would have changed). In any event, they have resurrected the DS brand and made three cars available, including a cabrio coming in at £24,750. 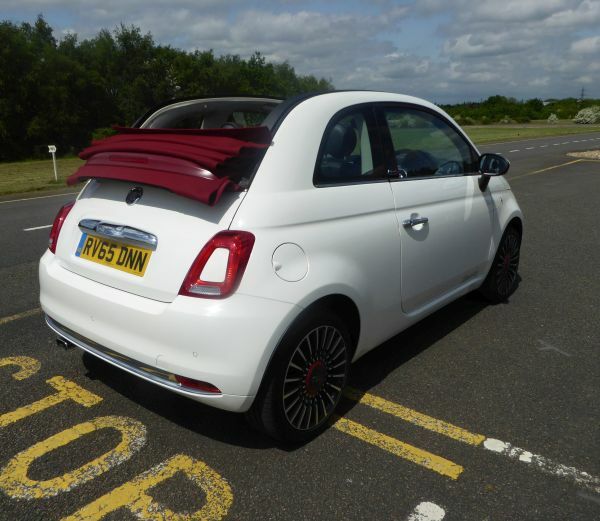 The rear view is restricted and somehow, as far as I was concerned, it had less sparkle than the competing Fiat 500. On the face of it one of the cheapest and less attractive cars available during the day, the under one litre Fiat 500 convertible proved a joy to try on the hill circuit and the so-called town route. Maybe it was the 15in wheels fitted on the demo vehicle, or the delightful six-speed box, but this Fiat was a revelation compared with previous examples. Sat-nav and an electrically-operated sun roof may have helped. The comprehensively-equipped test car came in at £19.105. 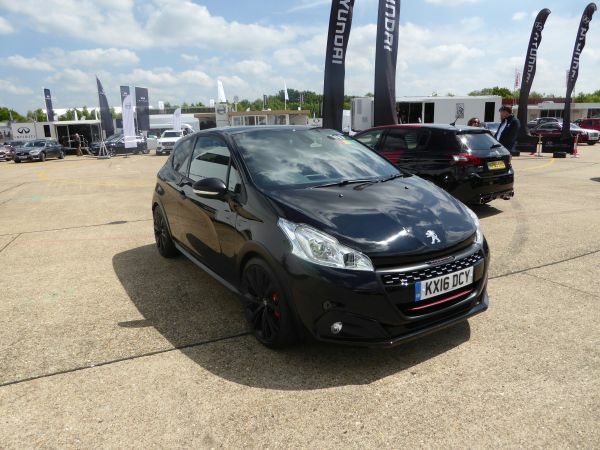 Peugeot kindly allowed us out on the public highway in what turned out to be a real flyer, the 208GTI, 0-60 in 6.5sec and a top speed of 143mph. Complete with sat-nav and reversing camera, it comes in at £22,365. Also available was a classic 205 GTi from 1990, accepted as one of the great sports saloons of all time, but easy to keep up with a driver, obviously trying, on the hill circuit. It’s a pity Peugeot doesn’t make a CC version. It would sell. AND FINALLY “The Smart Car” by Mercedes. 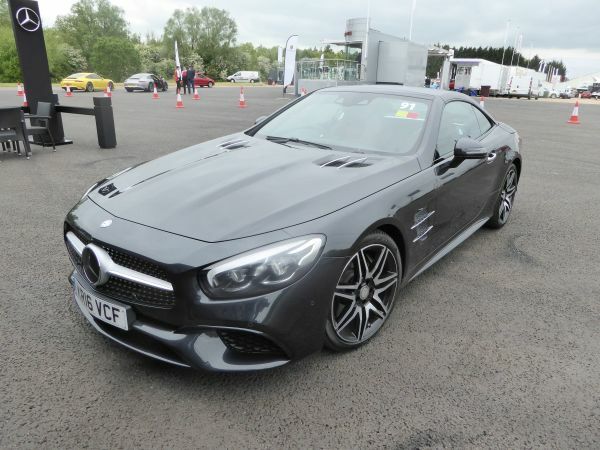 This really is a town car, with prices starting at £11,000 for a five-speed manual. They seem to sell well painted-up in company liveries, dodging in and out of the traffic and parking head-on into the kerb. We were not supposed to take it on the hill circuit, but one lap indicated that if ‘push comes to shove’, it could be used on a motorway. One model range that was not tried was the Mini convertible, three available and proving very popular. I’ve managed to get my hands on one for a proper test evaluation, the only small 2+2 drop-head now on the British market. Read all about the latest Mini variant, where the basic car comes in £18,475, in a future BTN.